Together with his staff, Etchen will usher in a new era of amenities, luxury and refinement for the iconic property. Enhancements will retain the grandeur of The Gibson Inn’s signature appearance while representing a fresh level of comfort and sophistication for today’s modern traveler, honoring the hotel’s rich history and charm. “I have a deep love for the area and hotel, and I’m thrilled to be part of its evolution,” said new owner Steven Etchen. Capturing the energy of the neighborhood, renovations will begin immediately and be rolled out in two phases. The hotel will remain fully operational during the renovation process. Phase one will include enhancements to guest rooms and suites, lobby and public areas, as well as the popular Parlor Bar and restaurant, Gormley’s at the Gibson. Select guestrooms will be redesigned as suites, catering to larger groups and families. The banquet room, currently used for private events, will also be transformed into a Billiard Room with pool tables and communal seating. Phase one is planned for completion in early 2019. “The Gibson Inn may be getting a new look and updated amenities, but it will continue to provide the same level of service and hospitality that has welcomed both locals and travelers for decades,” says Etchen. 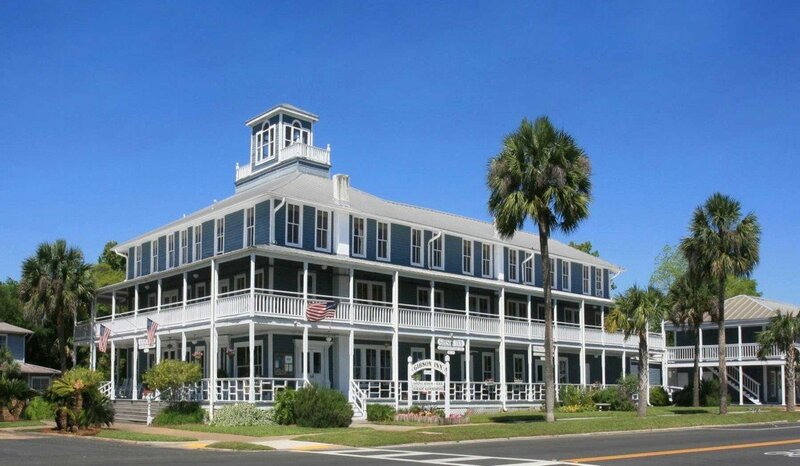 Built in 1907, The Gibson Inn is a boutique hotel located in the heart of historic downtown Apalachicola, FL. The Gibson Inn is the only historic luxury hotel property developed along the entire region of rural Gulf Coast Florida. Combining elegant Victorian style with contemporary Southern sophistication, this iconic hotel remains a beacon of the city’s historic past even as it lays the framework for its future. The Gibson Inn features an award-winning restaurant and Parlor Bar, 30+ beautifully appointed rooms, majestic wrap-around porches, as well as first-class amenities and services. please visit gibsoninn.com or call 850-653-2191.